There is nothing more frightening than watching your child’s weight drop significantly or discovering that your child is engaging in some form(s) of eating disordered behavior. Because eating disorders are a psychological illness that also affects the health of your body, we have found it imperative to include nutrition therapy as part of your child’s effective treatment plan for anorexia and/or bulimia. Especially for children and teens who are in the active process of growing, proper nutritional care is an important part of a successful and responsible treatment plan. 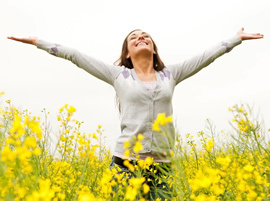 A New Beginning’s team of nutrition specialists take an integrated approach to eating disorder treatment and will, therefore, communicate regularly with your child’s pediatrician and/or psychotherapist for a comprehensive approach to your child’s treatment. Family Involvement for FULL Recovery & Success! 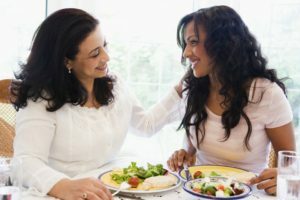 Family members, as a result, are encouraged to ask questions, participate is sessions, and to learn how to best support your child’s eating disorder recovery process. At A New Beginning, we utilize a vast amount of fun, creative and successful skill-building services that will result in your child’s ability to approach food in a manner which will ultimately make your child healthier from a mind and body perspective.